For several years, staff users of the Edinburgh campus library have needed to use a very basic Library card with which to borrow books. 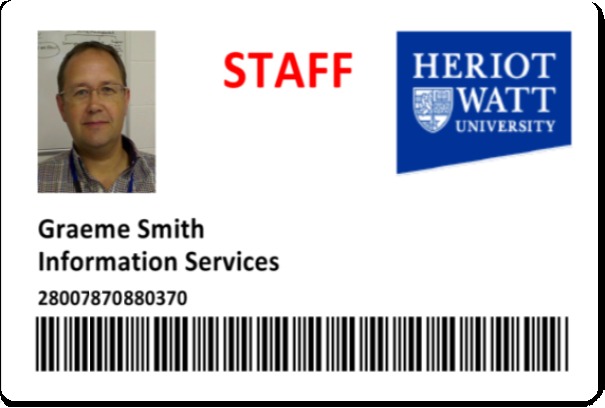 With the launch of our new Book Self Service system, we shall also be introducing a new Staff Card, modelled here by our Card and MFD project manager, Graeme Smith. In addition to enabling staff to use the new Book Self Service system conveniently, the cards contain an RFID chip which will be configurable to work with other services and facilities at the Edinburgh campus. Details will be published as these extended functions become available.